To advance successful offender reentry to protect the public, employees, and offenders from victimization. 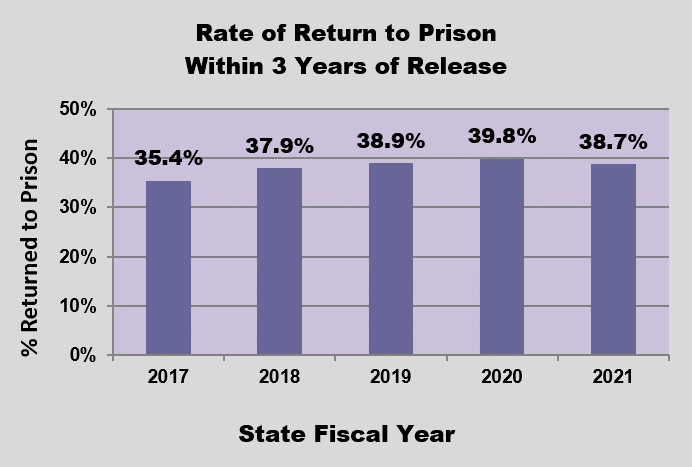 Rate of return to prison. The primary purpose is public safety, through reducing the likelihood of new crimes being committed by repeat offenders. The Department of Corrections and district departments of correctional services are continuously working to improve provision of evidence-based treatment for offenders both while in prison and upon release. By evaluating what works, we can stop doing what doesn't work, and maximize the return on investment of each corrections dollar spent. It's working. Offenders released in more recent years are less likely to return to prison than those released in the past. 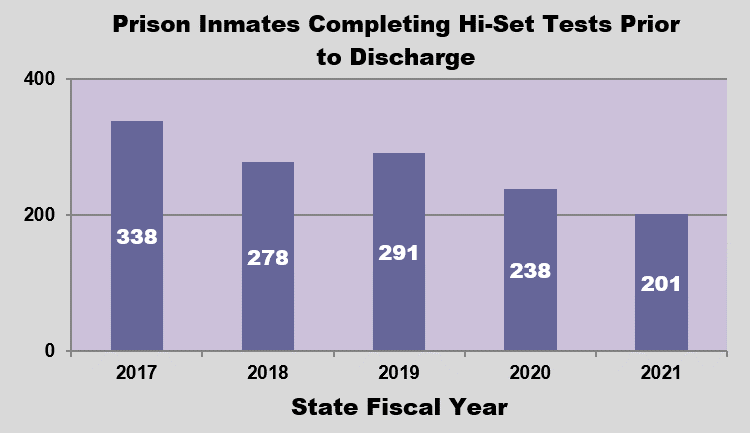 Increase in prison inmates completing their GED prior to discharge. The primary purpose is public safety, through reducing the likelihood of new crimes being committed by repeat offenders. According to the Correctional Education Association, prison inmates who are involved in education are less likely to be re-arrested, re-convicted and re-incarcerated than non-participants. Currently, 1,528 prison inmates have less than a high school education, which is an increase from the past number of 1,459. The Department contracts with community colleges to provide GED classes to offenders in prison in order to reduce their chances of re-offending, and increase their chances of obtaining a job when released. Total number of inmates, as a percent of prison capacity. The primary purpose is responsible prison management. 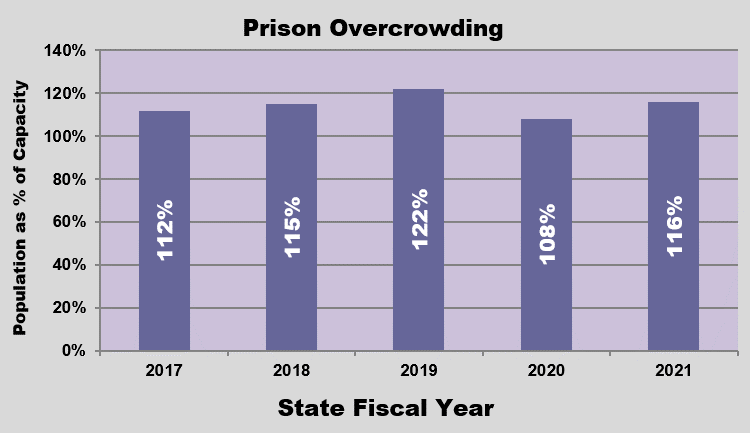 Prison overcrowding is often a contributing factor in the likelihood of conditions suits being filed. Also, to the extent that our prison system holds offenders who are at low risk to commit violent crimes or other acts of victimization, paying for their incarceration is a waste of taxpayer dollars. It makes economic sense to place more emphasis on reentry to hold offenders accountable, shoulder their responsibilities to their families and past victims, and become productive, taxpaying citizens. The Department of Corrections is employing strategies to increase the number of release recommendations to the Parole Board, and improve pre-release planning.